In 1901 farmer and rancher J.W. Lochridge was having a water well dug on his property when the hired well-digger struck oil. This opened Texas� first North Texas oil field. When word got out, absentee landowners returned by the droves to claim the mineral rights to their holdings and the resulting community became known as Oil City. The boom town applied the name to its post office when it opened in June of 1904. 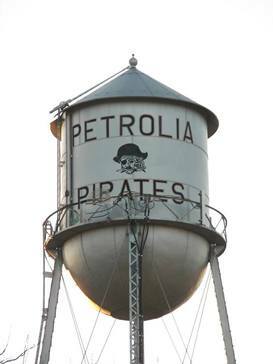 Later, with the arrival of the Wichita Falls and Oklahoma Railroad (1904), another town named Petrolia (after a Pennsylvania town of that name) came into being. Oil City residents moved the few miles to Petrolia, and then Petrolia opened its own post office. 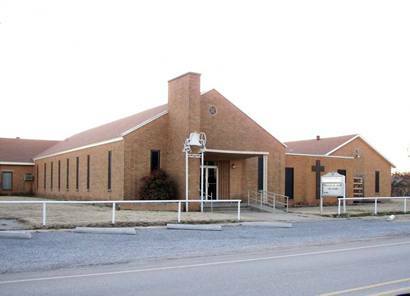 After 13 months in operation, the Oil City, Texas post office closed its doors. In late 1905 Petrolia was thriving with all essential businesses, including a furniture store and an ice house. Clay County was technically 揹ry� but being a boom town, the community lived up to the reputation of boom towns everywhere. 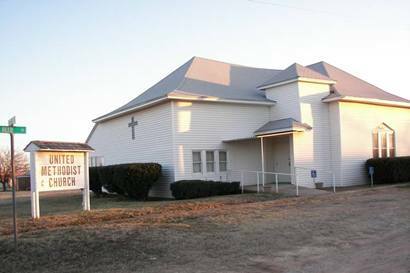 The sale of liquor, along with gambling and prostitution were tolerated, even as the community developed five church congregations (by 1914). From just over 500 residents in 1914, the town peaked at 914, in the mid-1920s. Petrolia decided to incorporate sometime prior to 1930 but the Great Depression took its toll and the number of resident declined to a low-water mark of just under 600 in the 1940s. During WWII, the Wichita Falls and Oklahoma Railroad abandoned its line and the rails went to the war effort. The population began a slow recovery, reaching 762 residents in the early 1990s.